“Thank You So Much, Mrs. Lowsborough-Goodby.” Words and music by Cole Porter (1934). 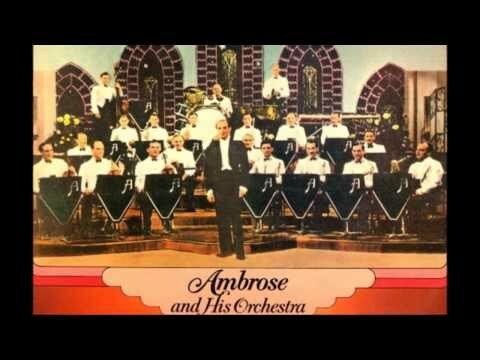 Recorded by Ambrose and His Orchestra with Elsie Carlisle on February 6, 1935. Decca F. 5448. Ambrose’s February 1935 version of the song benefits from an arrangement whose orchestral component highlights the musical merits of the piece independent from the funny acerbity of its lyrics. Elsie Carlisle’s contribution is the impersonation of a particularly snarky lady of the smart set. In the Decca recording, Elsie has just over two minutes in which to introduce and develop her character, and the result is a perfect picture of ridiculous ill will. A comparable mocking of the presumably petty concerns and silly pretensions of high society can be heard in her versions of “Home James, and Don’t Spare the Horses” and “Algernon Whifflesnoop John,” both recorded with Ambrose at around the same time. “Thank You So Much, Mrs. Lowsborough-Goodby” had been recorded in late January by Carroll Gibbons and the Savoy Hotel Orpheans, with Brian Lawrance as their vocalist. There was also a version by Lew Stone and His Band, with Lew Stone doing the singing himself, in his own arrangement of the song. John Tilley recorded it as a “Humorous Monologue” spoken, not sung, over slight piano accompaniment; Fred Astaire would give it a similar treatment a quarter of a century later on television with considerable comic success.